Many of our custom printed products support order comments. We will try to accommodate all requests as best we can when submitted through the comments section upon ordering. "Can you make all my text red?" "Can you change my "line" keys to regular R2 1x1"
"Can you print "Hello World" on my spacebar?" This is not limited to design changes. However, please keep in mind that the comment section requests are to be interpreted, approved and executed at the discretion of WASD employees. Requests in the comments section should be made very flexible and accepting that we will do what we can with what you have requested. "Can you make my keyboard look like this... (link to photo/design/etc..)"
"Can you change the alignment of the legends to top-left"
"Can you change the font to (name of font)"
Some requests are either too complicated to explain through comments or may require a significant amount of time to fulfill. In either either cases, we suggest submitting your own custom layout file or contact us beforehand to inquire about our design services. If we cannot fulfill your request in the comments section your order will be put on hold and we will notify you via email and await further instructions. Is it possible to get a custom colored back plate? We only offer black cases and plates right now (black case, white plate for CODE keyboards) but we are looking into other options for the future. Is it possible to get a few keys swapped to different switches? We can do switch swapping for an additional fee. Just email us with what you want done and we'll get right back to you with a quote. 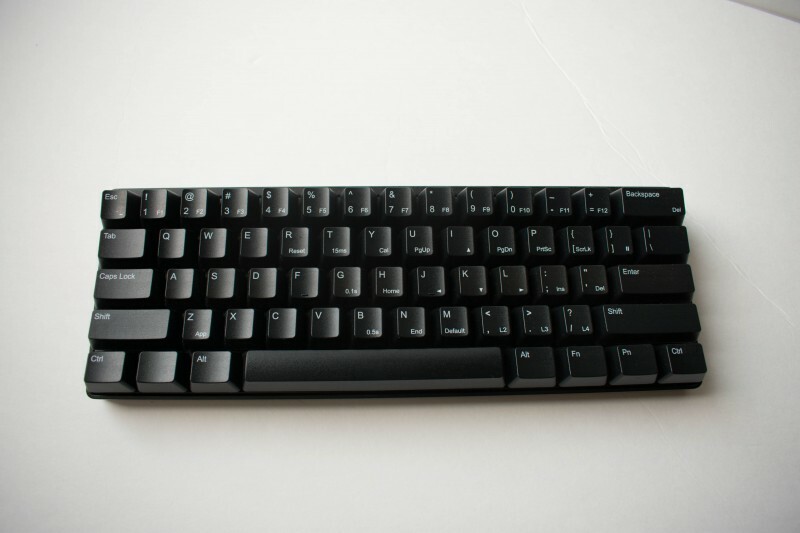 could I have an image printed on the spacebar? 2. Is there an option to get keys printed with all of the custom functions actually shown on the keys? I thought the answer was "no, unless I make the print file myself," but then I found your blog and "Emily's reviews," which includes this picture: https://www.emilyreviews.com/wp-content/uploads/2017/12/WASD-1-of-1.jpg So...maybe? But I don't see the media keys (play/pause, forward, back, and volume keys) listed on the QWE SDF keys in that picture, though they're described in the manual. And more importantly, I don't see that shown anywhere on the actual website or order page. 1. The CODE VP3 (backlit version) has been discontinued, sorry. We may come out with a new version at some point, but no solid plans for now. 2. There is a pre-designed layout option for the VP3 with both the main legends and the function layer printed (Modern with Function Layer). If you wanted something beyond that, a custom layout file would be needed. Are you able to print the Mac Hotkeys on the function keys as a custom request? Yes, we can print the Mac Hotkeys on the F-row if it is requested in the order comments. Hi, We don't have any homing keys for the bottom row, sorry. You could get a Row 2 line or dot key and put it on the down arrow, but it will not quite match the height and slope of the surrounding keys.